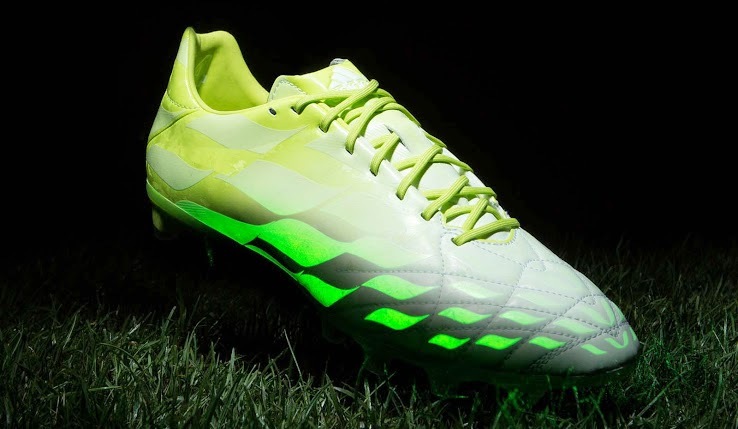 Part of the new glow in the dark Hunt series Adidas has released this past Saturday the Adipure 11pro Hunt Boot. 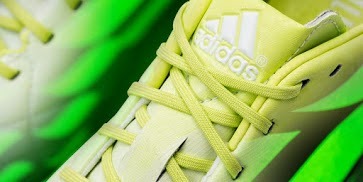 The new Adidas Adipure 11pro Hunt boot comes in a unique white and lime green color. 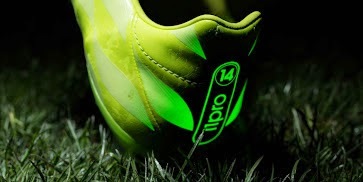 The boot is mainly white with some areas in lime green which end up giving the boot the glow in dark effect. 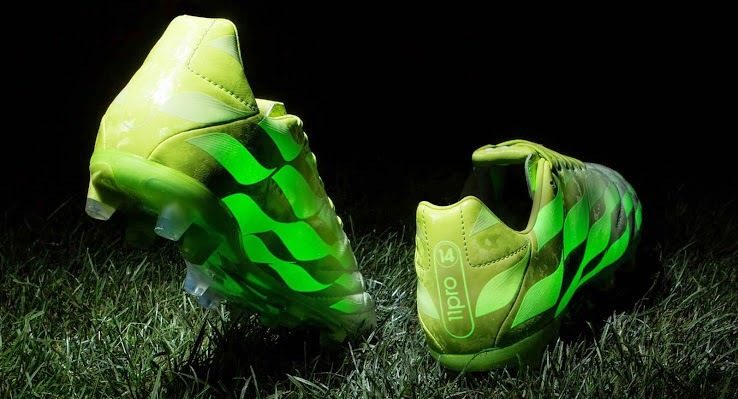 Adidas used the same design in the Adidas Adipure 11pro Hunt boot that they did in the Battle Pack Boots but with a change in colors and with the glow in the dark effect being the main new addition. These boot are expected to be worn by some players that are sponsored by Adidas during the Champions League group stage (November 25-26). There are limited editions of this boot going out to the public and retailers should have them in their shelves by now. So far I am not aware of a retail price for this boot.